The graph above published in the Guardian shows the change in spending power in pounds per person, compared to the England average. 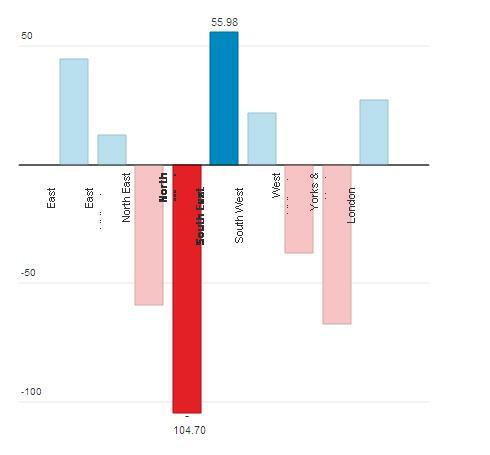 It shows a redistribution in resources from Labour areas to Tory Councils. It is no surprise that Newcastle City Council has called for an independent method of funding allocation to local Councils to end political bias in Council funding from central Government. Posted on January 15, 2013 by Cllr Krupesh HiraniPosted in Con Dem NationTagged bias, Council cuts, Council spending power, England, Eric Pickles, Guardian, Newcastle City Council. Reblogged this on Jim's Voice.